#stampinup #faithfulinkspirations I've been sharing cards I received at the Proverbial Stampers & Friends event. I love to swap because I get samples of cards made with stamp sets I don't own or that I might have overlooked in the catalog. 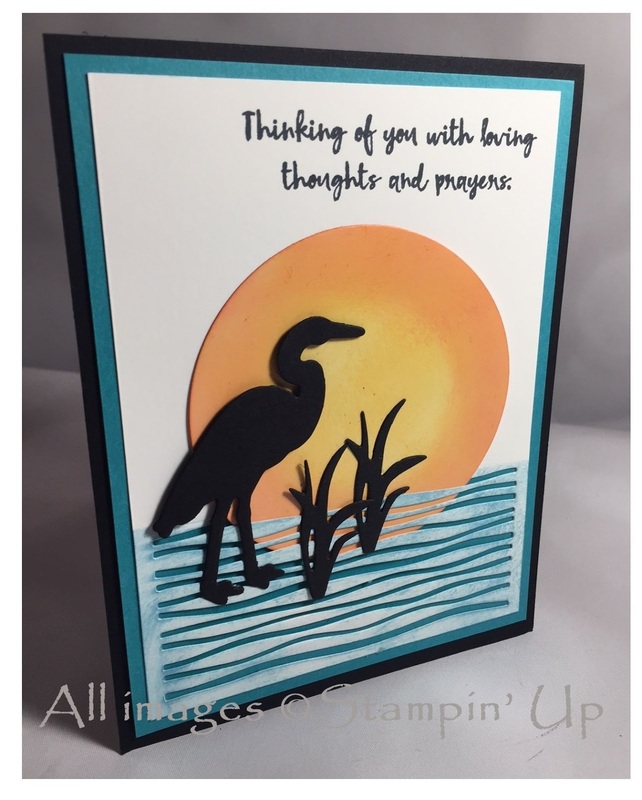 Honestly, I didn't think twice about the "Lilypad Lake" stamp set and coordinating Lakeside Framelits...until I got my hands on this gorgeous card made by Kathy Johnson! Kathy started with a 3-3/4" by 5" Whisper White mat. She sponged Balmy Blue Ink at the bottom of the mat and stamped a sentiment from the "Lilypad Lake" stamp set in Memento Tuxedo Black Ink at the top. Then she used one of the Lakeside Framelits to cut the water from the bottom of the Whisper White mat. 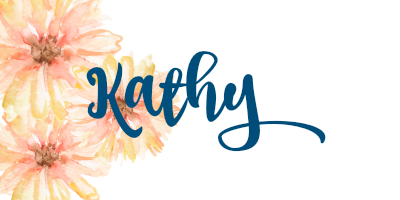 Kathy adhered this piece to a 3-7/8" by 5-1/8" Bermuda Bay Card Stock mat and then onto a Basic Black Card Stock card base. Next, Kathy used the Layering Circles Framelits to cut a 3" circle from Glossy White Card Stock. She sponged Daffodil Delight Ink in the center and Mango Melody Ink around the edges. She adhered this to the card, tucking it behind the die-cut water so it looks like the sun is setting and reflecting on the water. Awesome! Finally, Kathy cut the crane and a couple of water plants from Basic Black Card Stock using the Lakeside Framelits. She adhered the crane to the card with Mini Stampin' Dimensionals and adhered the plants directly to the card. This card is spectacular! You can get both the "Lilypad Lake" and Lakeside Framelits in a bundle and save 10% off the price of purchasing them separately. What a deal! Speaking of deals, don't forget to scroll down to see the awesome deals that Stampin' Up is offering during the month of July. You won't want to miss out! !